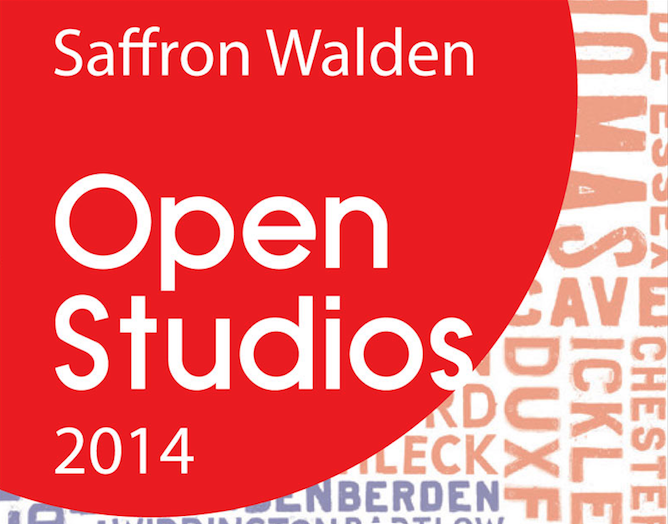 Saffron Walden Open Studios 2014 showcased 18 artsists working in a wide range of media, including fine art, printmaking, photography, collage, textiles, furniture, sculpture, ceramics and mosaic. 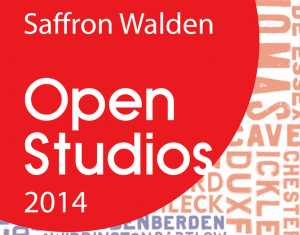 Now we have established this as a popular and successful event with both artists and visitors, Saffron Walden Arts Trust intends to broaden the reach of our advertising for 2015. We plan to connect with local galleries, pubs, cafes etc to create a weekend trail, giving the public information on how they can integrate their studio visits with a delicious lunch or afternoon tea. We are already planning next year’s event, and therefore we invite artists to express an interest as soon as possible. This will help us to contact relevant businesses along the routes around studio venues, and, we hope, increase visitor numbers to the delightful areas just a little further outside the town.